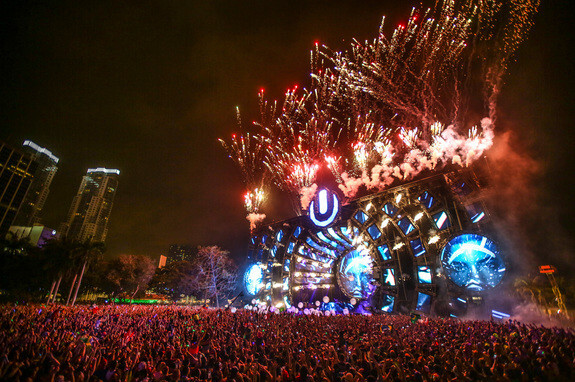 Ultra Music Festival recently opened ticket registration via its website for the 2015 edition of its flagship event in Miami, Florida. Those who register will receive exclusive access to Tier 1 and Tier 2 ticket pricings and registration closes at midnight EST on 29 September. The exclusive registration ticket prices will only be available to those who pre-registered and are priced at $299.95 (Tier 1) and $379.95 (Tier 2). These prices are all-inclusive of taxes and fees though a nominal shipping surcharge will be added depending upon shipment location. For the first time in its history, and as a thank you to its loyal legion of fans, Ultra Music Festival is reducing the price of General Admission tickets. These tickets will be available to the general public, with no registration required. General Admission tickets for the 17th edition of Ultra Music Festival: Miami go on sale at 1PM EST on 30 September for $449.95, nearly $50 less than the 2014 event. VIP tickets are priced at $1,149.95. These prices include taxes and fees though a nominal shipping surcharge will be added. A payment plan for general admission tickets will also be available. Finally, starting 12pm EST on 26 September, UMF Radio will takeover SiriusXM Electric Area (Channel 52) for a 72 hours of non-stop music, including a special Live Broadcast from the first annual, sold outUltra Japan at Odaiba Ultra Park in Tokyo, and Live Recorded Sets from previous Ultra Worldwide festivals. Ultra Music Festival takes place 27-29 March, 2015 during Miami Music Week and is an 18+ event.